Hi there! 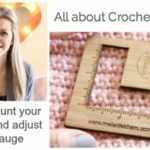 Today, I have a basics video for you – How to Crochet the Star Stitch tutorial! 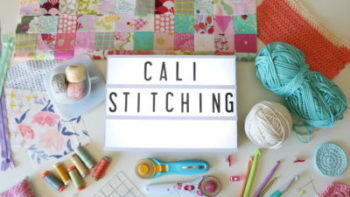 This tutorial will show you how to make a sample size of the star stitch, but you’ll have details to translate this into a larger project if desired. The YouTube video tutorial is embedded at the end of the post. *I recommend making a swatch to start and get the hang of it. 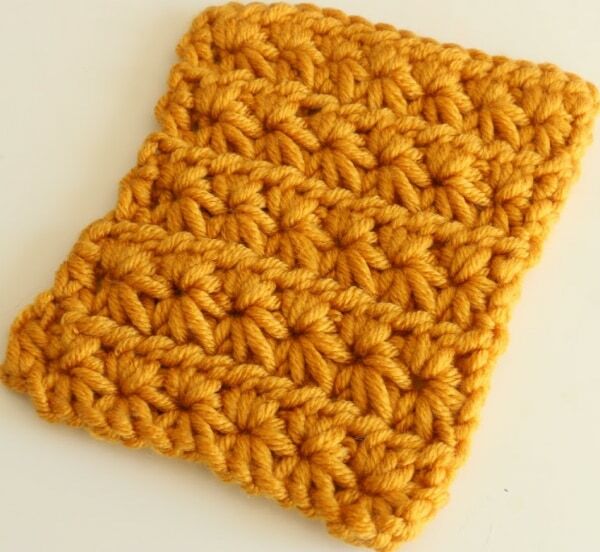 This stitch can be utilized in washcloths, blankets, scarves to name just a few. Create a foundation chain in a multiple of 2, in the example I did 20. Row 1 – Insert hook in 2nd chain from hook, yarn over and pull up a loop. Insert hook into the next foundation chain, yarn over and pull up a loop (3 loops). Insert hook into the next foundation chain, yarn over and pull up a loop (4 loops). Insert hook into the next foundation chain, yarn over and pull up a loop (5 loops). Yarn over and pull through all 5 loops. chain 1 (this creates the “eye” or center of the star). Insert hook in the eye or center of the star, yarn over and draw up a loop. Insert hook in the foundation chain from the last stitch (that has already been “used”). 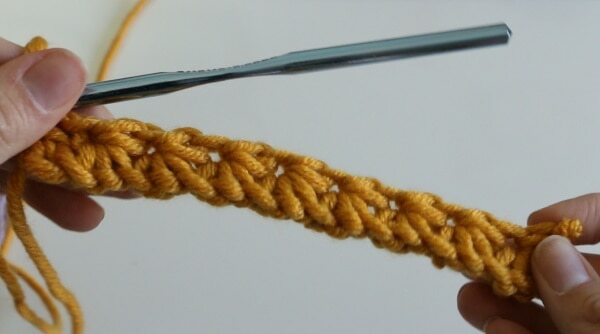 Insert hook in the next foundation chain, yarn over and draw up a loop (4 loops). 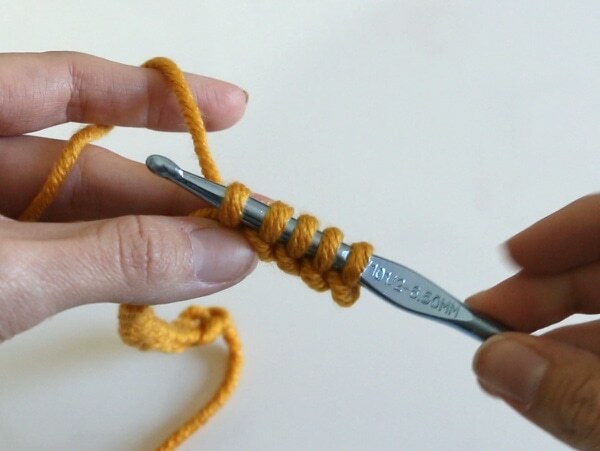 Insert hook in the next foundation chain, yarn over and draw up a loop (5 loops). Yarn over and draw through all 5 loops. Repeat to the end of the foundation chain (you should have 1 stitch remaining). hdc in the last foundation chain. Row 2 – ch 2, turn work, and place 2 hdc stitches in each “eye” of the star all the way down. Place 1 hdc in the “turning chain” from the first row. 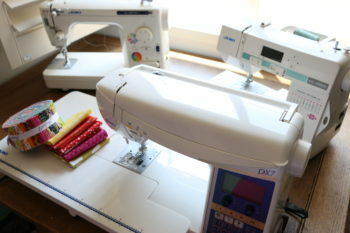 Row 3 – turn work, chain 3, insert hook into the 2nd chain, yarn over and draw up a loop. Insert hook in 1st chain, yarn over and draw up a loop (3 loops). Insert hook into 1st stitch, yarn over and pull up a loop (4 loops). Insert hook into next stitch, yarn over and pull up a loop (5 loops). Yarn over and pull through all 5 loops. Insert hook in the eye or center of the star, yarn over and draw up a loop. Insert hook in the foundation chain from the last stitch (that has already been “used”). 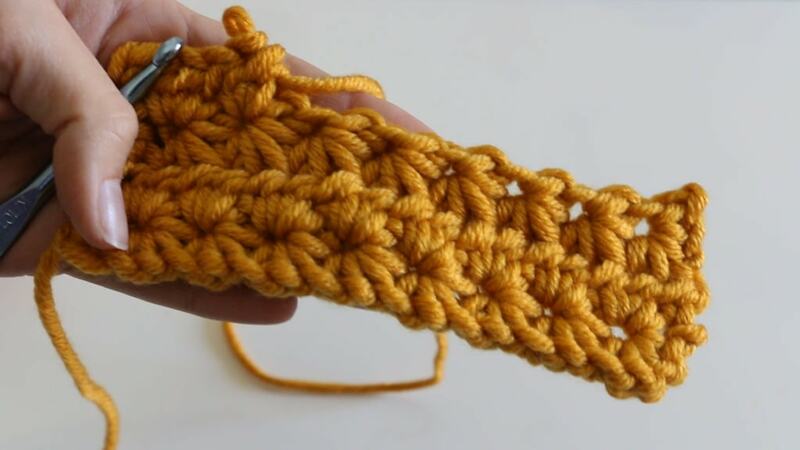 Insert hook in the next foundation chain, yarn over and draw up a loop (4 loops). 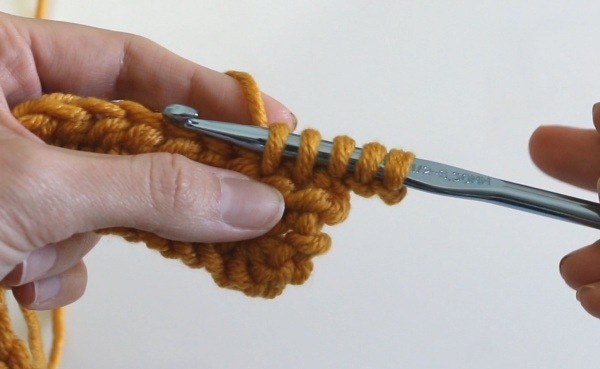 Insert hook in the next foundation chain, yarn over and draw up a loop (5 loops). Yarn over and draw through all 5 loops. Repeat to the end of the row (you should have 1 stitch remaining). 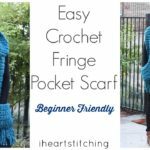 Check out more Crochet Basics! I really want to teach myself to crochet. I have watched endless videos and I feel each person does things differently. 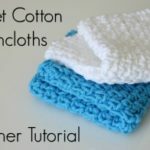 I have been practicing with cotton to make dish cloths just so my practice pieces can be useful. How do I know I’m doing it correctly? I tried reading a pattern and that didnt work out so well. Any ideas before I start a temperature blanket for my grandson. 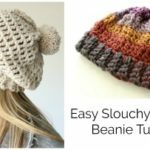 Again a really neat crochet project to get into. Thank you for all the ideas and the written and video help a lot. 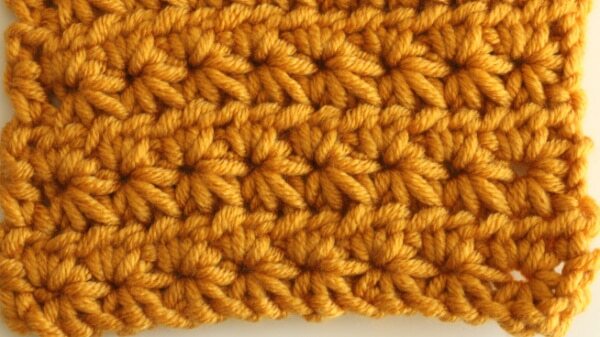 I think this stitch would be good for a scarf.